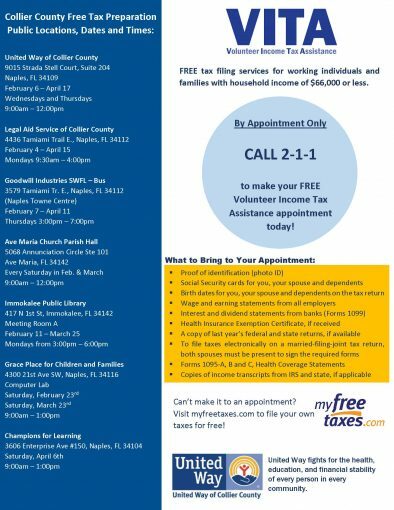 Volunteer Income Tax Assistance- make your appointment today! Did you know Volunteer Income Tax Assistance (VITA) offers FREE tax filing services for working individuals and families with household income of $66,000 or less? Check out the flyer for a list of locations, dates and times- with dates starting in February! By appointment only. Call 2-1-1 to make your appointment TODAY! Previous readingSchulze Family Foundation – College Scholarship NOW OPEN!